When it’s March and time for the NCAA Tournament, the joke every year is “Where is truTV?” The network has traditionally tackled this question with some snark on Twitter. But this year, truTV is doing something a bit different. Now this audience will come for the games and may not stay for the rest of the year. So truTV is doing something very creative. You may not be aware of truTV’s programs Impractical Jokers, The Carbanaro Effect, Adam Ruins Everything, I’m Sorry, and Talk Show the Game Show. 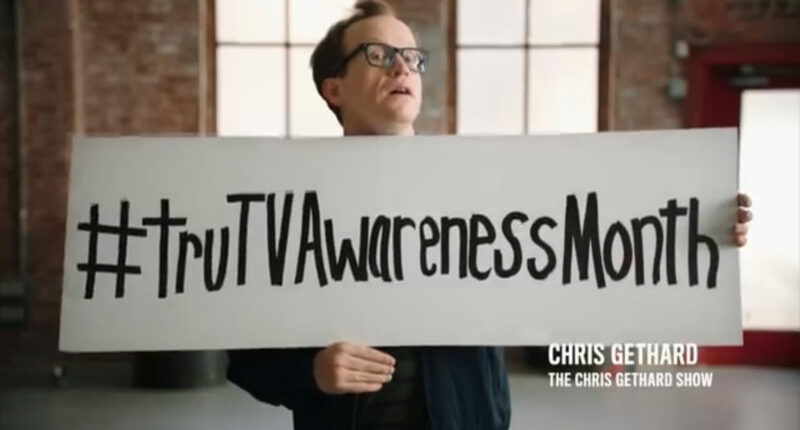 So in a nice display of self-awareness, truTV is running a “truTV Awareness Month” campaign. Did you know about The Chris Gethard Show? Laff Mobb’s Laff Tracks? At Home with Amy Sedaris? Most likely you didn’t, but that’s kind of the point. Will this work? It’s a good question, but if it raises the ratings and viewership for the rest of the year, then this promotional campaign will have been worth it for truTV. They only get one shot per year at the massive audience that tunes in for the NCAA Tournament, so using that valuable time to self-promote with self-deprecation seems as good a strategy as any.